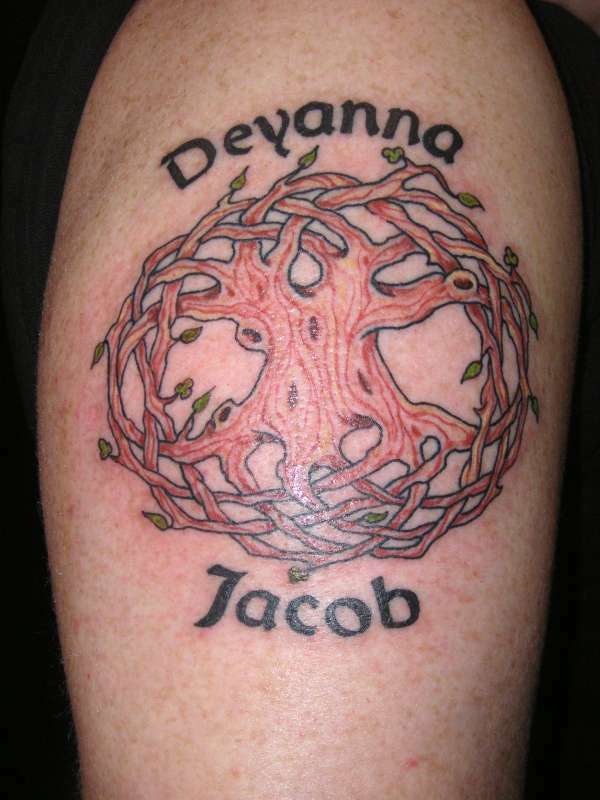 This is my own little take on the Celtic Tree of life w/ my kids names around it done by Duane at Enemy Tattoo in Everett, Wa. He does some amazing work. Thats Awesome! your beautiful wife already showed it to me! Duane is awesome he did the tribal rose on my wrist!